With the warm fall coming to a close and colder fronts rolling in to New York, thicker clothes are becoming a necessity. 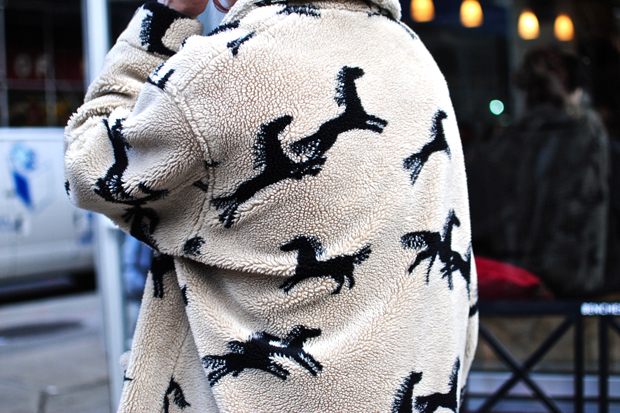 We found this awesome red-haired lady with the coziest item we've seen yet as the seasons change: a rad, heavy fleece sweater decked out with navy horses. It's basically the sartorial equivalent to wrapping up in a blanket.